This Antigua charm makes the perfect memorabilia. Decked in the country’s flag colors, this unique chevron charm is the perfect addition to your charm collection. All charms are approximately 10mm with a 5mm diameter hole. Keep fond memories of Antigua top of mind with this flag Charm. 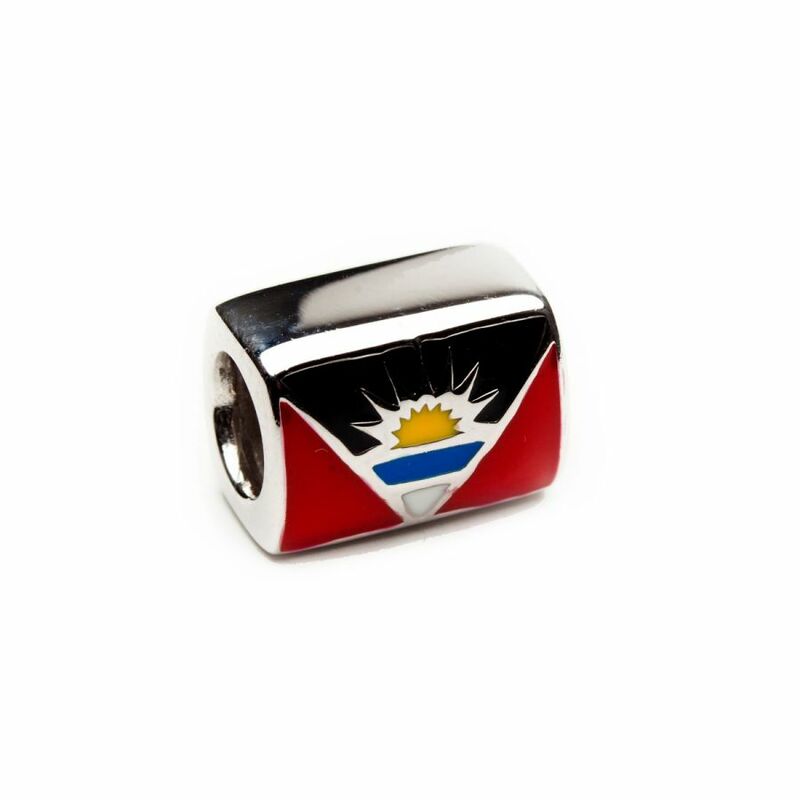 This sleek sterling silver charm showcases the Antiguan Flag. All charms are approximately 10mm in size with a 5mm diameter hole and will fit on any charm bracelet.